Last week the pressure regulator of our pressure cooker broke, rendering the cooker useless until we receive a new regulator that is on its way to Mongolia as we write. Meanwhile, I feel somewhat handicapped when cooking. 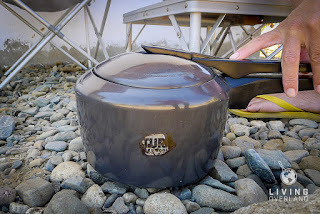 After twelve years of using a pressure cooker to prepare pretty much every hot meal on the road, I had forgotten exactly how incredibly useful and energy efficient this cooking pot is. Rice - To cook 2 cups of rice in my regular stainless-steel pan, I need 5 cups of water and 12 minutes of cooking for the rice to be ready. In the pressure cooker, I use only 3 cups of water and 5 minutes of boiling. Lentils - To cook lentils in a regular pan, I haven’t even figured out yet how much water I need to boil 2 cups of lentils – I continue adding water as needed – and to cook them takes at least 15 minutes. On the other hand, in the pressure cooker I add only 4 cups of water and after 5 minutes of boiling I turn off the heat and let the pressure cooker sit, lid closed, while I prepare the rest of the meal. By the time that is ready, so are the lentils. 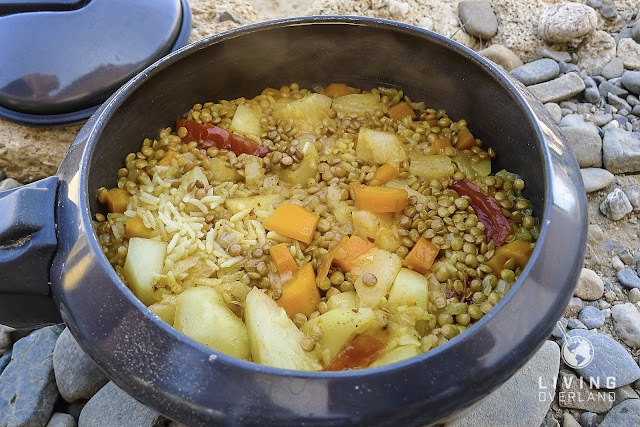 When tired after a long day of driving – or if I simply don’t feel like cooking – a pressure cooker allows me to throw in the lentils with the rice (2+2 cups), add 7 cups of water, let it all boil for 5 minutes and voila there is my meal. To liven it up I might add some diced vegetables to the mix without the need for extra water. 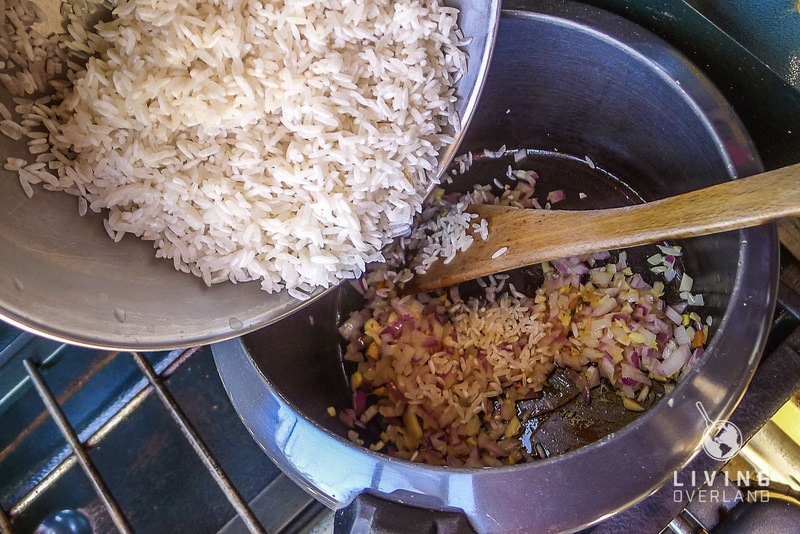 In a regular pan, the boiling times are so different that mixing the two ingredients would result in raw rice or overcooked lentils. Ever since the first pressure cooker was invented, in 1679 by the Frenchman Denis Papin who called it a steam digester, it has been redesigned and improved but the basic idea has remained the same. The sealed pot heats up and liquid forms inside, which raises the pressure. The pressure causes the temperature to rise beyond the regular boiling temperature, from 212 degrees (Fahrenheit) to 250 degrees. The food thus cooks faster. The pressure regulator allows excess pressure to escape, which causes the typical hissing steam, thereby keeping the inside temperature to a steady 250 degrees. The food needs little time to be cooked. The food is super tasty because all the water is absorbed plus no nutrients get lost. The only disadvantage I can think of is that a pressure cooker is bulkier than regular pans, plus you’d most likely still keep your regular pan(s), e.g. to boil water. It’s not likely that the pressure cooker will replace any cooking pot that you already have. The obvious one, fill the pressure cooker with dried rice / other food when storing it. Buy a fancier pressure cooker that has the regulator inside the lid rather than the traditional (probably cheaper) ones that come with the regulator sticking out from the lid. 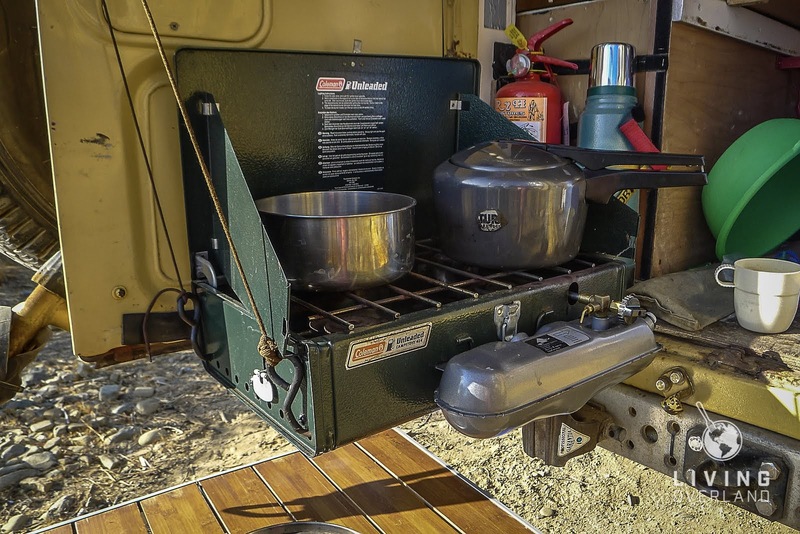 The regulator is a fragile part which makes storage in an overlanding vehicle, which may bounce up and down on badly maintained roads and forest trails, tricky plus it takes up space. Our 3-liter Hawkins Futura, big enough for the two of us, comes only with a long handle on one side and no grip on the opposite side, which most bigger models do have. Whether this is the case with other brands as well, I don’t know. There are stories about pressure cookers exploding. I don’t know the ins and outs of those stories but obviously, pressure cookers do come in different qualities (and price ranges) and as with any equipment, it needs to be used properly. Pressure cookers come with a safety valve. This means that when too much pressure is built up inside the cooker, the valve melts, allowing the heat to escape through the now open vent. We’ve had this happen three times, because once we forgot to add water, once we forgot to set the timer and the pot ran dry, and once we tried baking bread in it and the rising dough blocked the top vent. Our first pressure cooker, bought as an experiment, was a thin aluminum, three-dollar one that we found in an open-air market in a village in India. It lasted only a couple of days, which was long enough to make us realize its value so we invested in a good one. Our Hawkins Futura is top quality. Hawkins is an internationally recognized brand and you will find dealers around the globe where you can buy these pressure cookers and spare parts. At the time we paid the equivalent of about forty US dollars for it and, twelve years later, it is still going strong. Using it almost daily, we have blown three valves (as described above) and replaced the rubber seal twice. The pressure regulator now broke for the first time which is probably the result of cleaning it somewhat too roughly. When we have our pressure cooker working again, I’ll be sharing some recipes with you. Stay tuned. If you have any questions, please fire away in the comment section below. We will be happy to answer them. 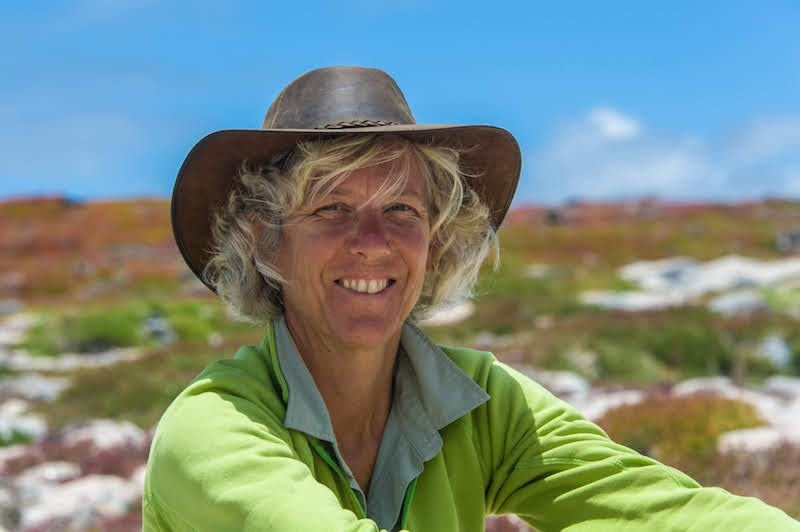 Freelance writer Karin-Marijke Vis, along with her partner Coen Wubbels, photographer, combine their love for adventure with work they enjoy. 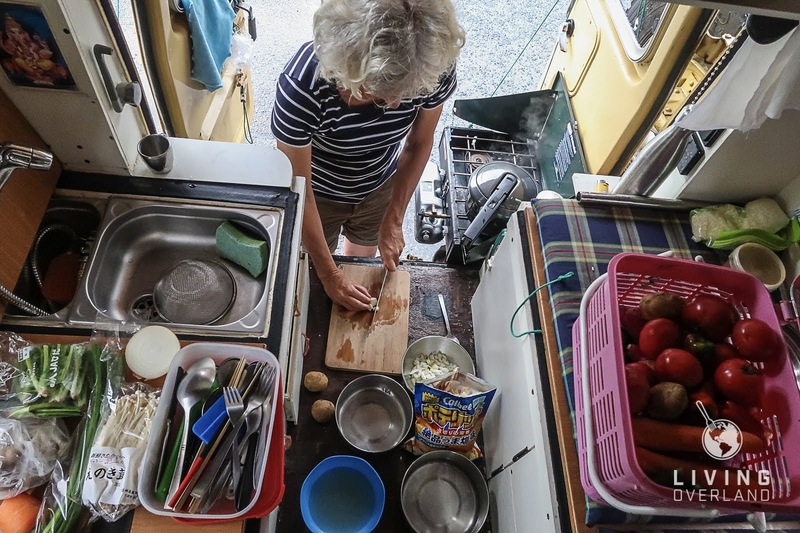 Sometimes described as being the ‘slowest overlanders in the world,’ they believe in making connections and staying in a place long enough to do so. In 2003 the couple purchased an antique BJ45 Land Cruiser and began a three-year trip from their home in the Netherlands to Asia. Terminally infected by the overland bug, they traveled in South America (9 years) and the Far East (2 years). Karin-Marijke and Coen are currently traveling in Russia. They’ve been published in car/4x4 and travel magazines around the world. Follow them on their website, Facebook, and Instagram. If you found this travel article helpful, please consider using one of the affiliate links below. The price is the same for you, but a small percentage of the purchase price goes to us, which helps keep this site going. Thank you!